I was out and about today in Toronto when I realized I had not ate in awhile and needed a calorie injection. 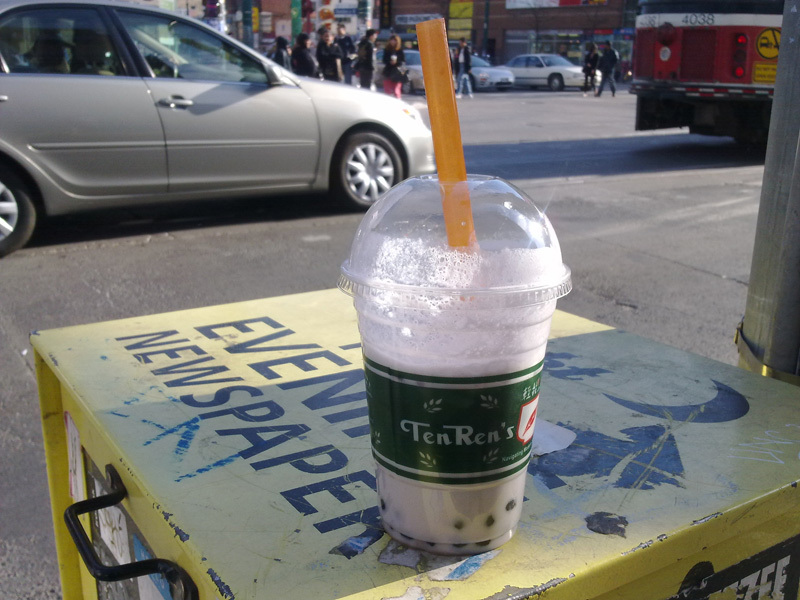 There didn’t seem to be any food places around, to my liking, but I saw a couple walk across the street with a bubble tea and they seemed pretty happy. So I scanned the environment and found a tea palace (my name for a tea shop). In I go and what do I find? After ordering a Taro drink, I noticed the Horoscope Drinks!! LOL Interestingly enough, the only zodiac drink on the board with taro was Capricorn and I have a Capricorn rising! Oddly, I also had Red Bean (The Libra / Capricorn drink) on my mind.